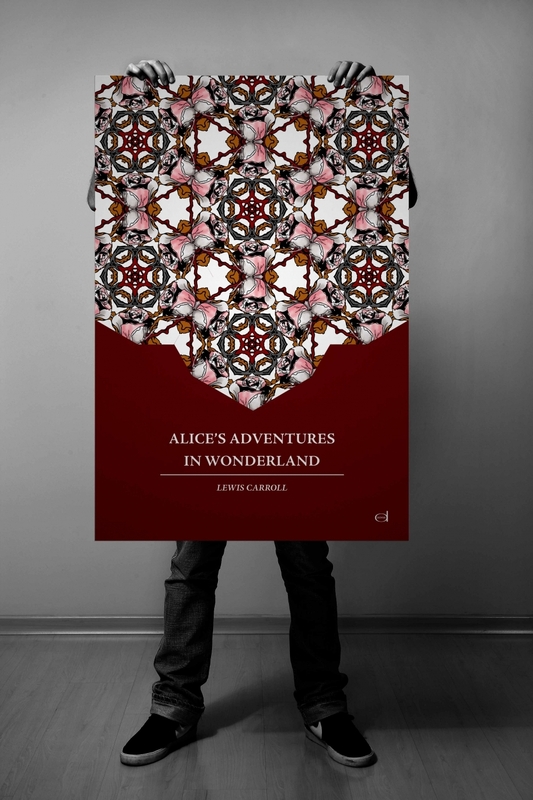 Alice's Adventures In Wonderland Poster Promotion Book 01 "Butterfly"
Alice's Adventures In Wonderland Poster Promotion Book 02 "Rose"
Kaleidoscopic pattern the designer made for "Alice's Adventures in Wonderland" Book Cover and Book Poster Promotion. The designer made basic pattern in hexagonal shape, symbolizing Illusion, Imagination, and Spiritual World. 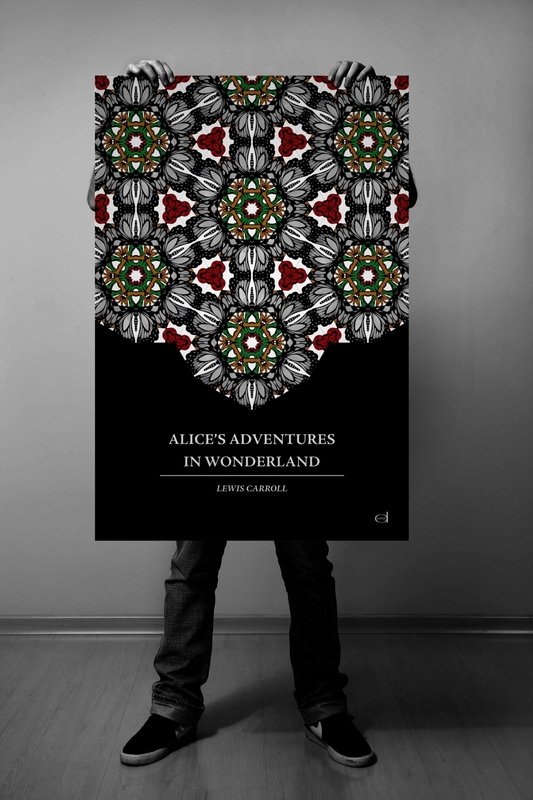 Just like the world Alice's Visited "WONDERLAND"
Poster 2 Appear in Red Blood background color, represent spiritual and political mood, sacrifice and struggle that Alice face (Chapter 7-12 of the story.). Use Pink Roses as main object, symbolizing Desire, passion, and elegance (Flower Language in Victorian Era).